Background: three federal reform election initiatives, towards mitigating the lobbying & political influence of the NRA on firearms policy. This post seeks to touch on how social media isn’t affecting the Senate on gun control, and how open data standards for constituent communications could enable deeper organizing. 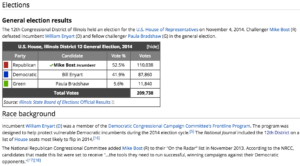 Lack of competitive primaries in approx. 95% of Congressional districts. Much commercial social media and campaign organizing tech seeks to accumulate data on public actions – signing petitions, sharing Facebook posts – while keeping most of it in proprietary silo’s. There are over 14 commercial projects for voting “aye/nay” on bills in Congress, hundreds of thousands of e-petition signatures from email blasts and Facebook posts and tweets and Snapchat videos, but no open data standard to view public opinion across all of them. “Civic features” in development are currently only working for the commercial app themselves, not more widely for public knowledge – but they could, if we engineer them and set the public-benefit, corporate-responsibility expectation in the #civictech community. The advocacy non-profit tech community over the past fifteen years simply didn’t design to support open data standards, in the face of legacy system pushback and huge VC investment in closed startups. Credit the great resource Ballotpedia on 2014 results. Among 350,000 registered voters in-district, the knowledge of how many supporters of gun control measures there are is split between different entities: state and county politicial parties (in voter rolls and turnout targeting and demographic and consumer info); local groups and organizers, using campaign tools; issue groups such as MoveOn or the Tea Party, using CRM software; and companies such as Change.org, Facebook (well, sorta), Countable, NationBuilder and many more. To impact the two points of electoral leverage above, open data standards for constituent communications would help organizers and advocates identify two needed pieces of public info. How many eligible and registered voters support gun control measures, and how many are likely to turn out in Nov. 2016 elections for this issue when reached with follow-up communications. Even if only around 15,000 votes in the sample district above were needed for the incumbent D to hold his seat and support gun control, if this number is more than 25,000, that’s a significant general election signal. In summary, in the Illinois 12th, local journalists and community groups don’t know mass data on gun control support, because it’s split between Facebook posts, Change petitions, Action Kit clicks from MoveOn emails, and issue-groups using services such as NationBuilder. Maybe together it can be found to be 125,000, more than the votes for the Republican challenger who opposes gun control. We don’t know until we have open-data infrastructure for civic engagement, including the tough problem of validating action takers as constituents in a district, and much-needed API’s for campaign contributions and election results. Open data standards, such as our proposed “X11”, channel social media updates into open public data. This has been our ambitious non-profit mission, open tech for responsive government and public trust in the political process. There’s very little investment in truly free & open tech for a healthier U.S. representative democracy – venture capital looks for returns in gov-tech or lead-gen, issue groups and news media no longer have budget for open standards. Let’s make public opinion more query-able and analyze-able and action-able for organizers by breaking it out into the open web. Questions & feedback welcome – support our open-data work for public priorities – email me for more info: david at ppolitics dooot org, @ppolitics on Twttr.